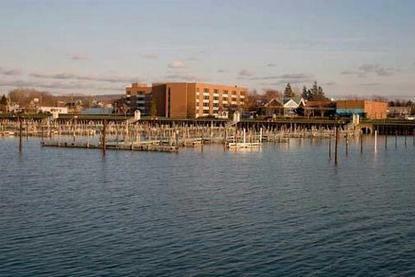 Located on shores of Lake Erie overlooking Chadwick Bay Marina. Close to many local wineries and the Dunkirk Lighthouse. Property boasts a full-service on-site restuarant and lounge, fitness center, indoor pool and outdoor pool, as well as a seasonal outdoor cafe and bar. All rooms have 32-inch televisions.